Here’s our weekly review of the new comics out in stores this week from the fine folks at Dark Horse. 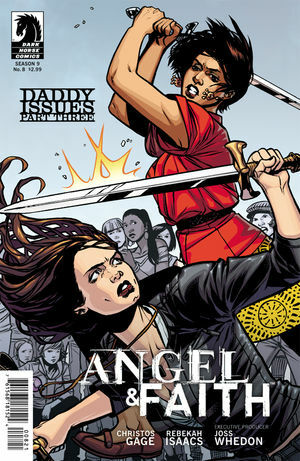 ANGEL & FAITH #8 pits Faith against another Slayer and the mob, all the while having to deal with her titular “Daddy Issues.” Angel doesn’t get off easy in this issue either. You may not have considered it, but definitely give this corner of the Buffy world a shot. I can honestly say that I’m enjoying it a bit more than the main title these days. B.P.R.D. 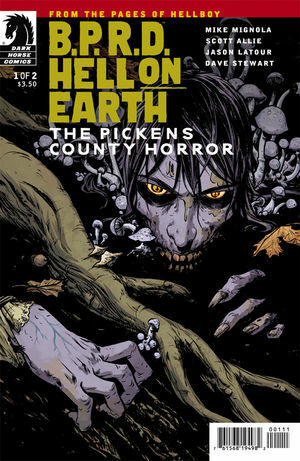 : HELL ON EARTH: THE PICKENS COUNTY HORROR #1 begins the next of the Hell on Earth series from the Hellboy/BPRD world. This issue involves two BPRD agents dealing with a deadly fog and a family of vampires in South Carolina. Lovecraftian horror ensues. Curious how the second part of this two-parter is going to go. 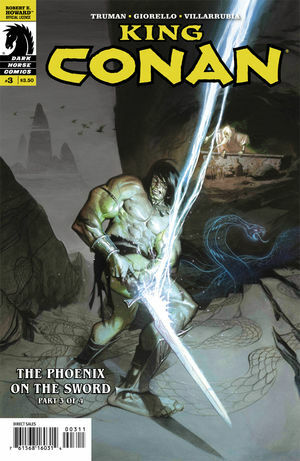 KING CONAN: THE PHOENIX SWORD #3 continues the tale of an older Conan in a sword-and-sorcery adventure with magic, monsters, and men in loin cloths. Again, not entirely my bag, but if you love Conan the Barbarian, you owe it to yourself to give the Dark Horse comics featuring him a try. Thanks to Aub Driver and the fine folks at Dark Horse for these previews! This entry was posted in Dark Horse Preview and tagged angel, angel and faith, bprd, buffy, comics, conan the barbarian, dark horse comics, hellboy. Bookmark the permalink.